We’ve given very careful consideration to our investment structure. So much so, we received an “A” from FranchiseGrade.com. This structure has enabled our affiliate location to thrive and there will be no surprise fees or expenses to worry about. Opening a Ben’s Barketplace franchise requires a flat initial franchise fee of $45,000; however, Ben’s is offering a reduced fee of $39,000 for the first five franchises. For a Ben’s Barketplace franchise, the estimated initial investment ranges from $188,550 to $360,050. There are a multitude of factors that determine where you’ll fit in that range. Please understand that you and/or your partner(s) will need $100,000 in liquid assets and $300,000 net worth to qualify. Last year, our FDD reported $1,462,000* Annual Revenue with $324,000* in Annual Profit. It has never been easier to turn your love for dogs & cats into an amazingly thriving business with an “A” rated pet franchise. *As a franchise company, we are regulated by the Federal Trade Commission (FTC) as to how the financial aspects of individual franchisee performance can be communicated. We do provide averages of our store financial performance to you in written form in Item 19 “Financial Performance Representations” of our Franchise Disclosure Document (FDD). To obtain a copy of our current FDD, you will need to complete and submit our Confidential Questionnaire. 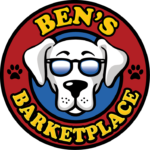 Veterans made this country great and continue to keep us safe, so Ben’s Barketplace offers a 25% discount off the initial franchise fee for veterans! For a complete breakdown of expenses, royalties and special offers, download our franchise kit and we’ll be sure to provide detailed information. Start a conversation with us if you seek a gratifying opportunity and have the drive and commitment to open your own Ben’s Barketplace. Our expert franchise coaches will review the information you provide, reach out to you, and set up an exploratory call to continue the conversation. This website and its content is not an offer to sell franchises. It is presented for information purposes only. Offerings for Franchise sales are only made by a Franchise Disclosure Document, as required by the United States Federal Trade Commission. Several states require that we register our FDD or qualify for an exemption, and we will not offer or sell franchises in those states until registration or we are exempt. Registration or exemption does not constitute approval, recommendation or endorsement of the information in the FDD or our website by any state or the FTC.